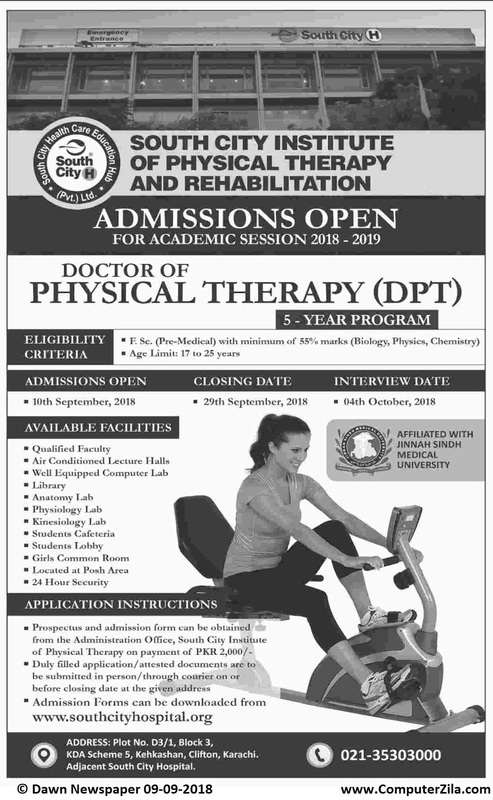 Admissions Open at South City Hospital Institute's South City Institute of Nursing and South City Institute of Physical Therapy and Rehabilitation for the batch Fall 2018. SCHI offers admissions in different fields of study for Bachelor Programs. University DescriptionSouth City Hospital (Pvt.) Limited is a privately owned facility in Karachi, Pakistan. It covers a wide spectrum of specialties. 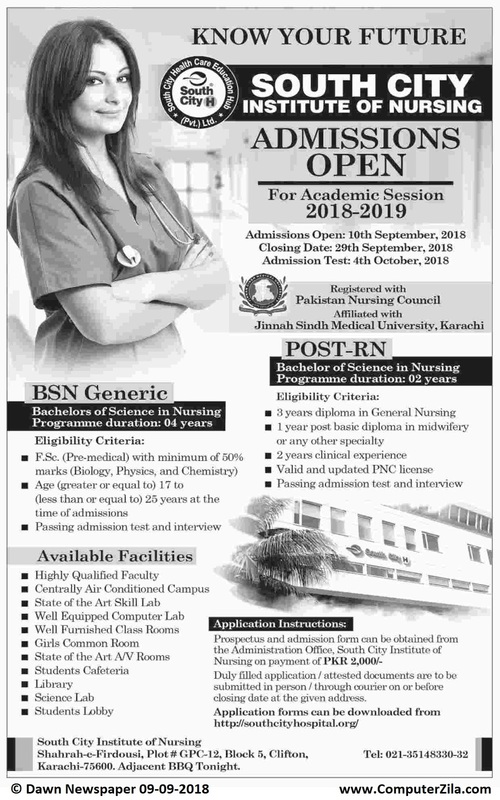 SCH has since attracted some of Pakistan’s top doctors and surgeons. It is a top grade facility that rivals the finest hospitals in Europe and USA. Construction for the new SCH facility started in March 2005 and phase 1 became operational in December 2006 whereas phase 2 was recently completed in March 2008. The facility covers an area of 3,250 square yards and has a total capacity of 124 beds. It houses a pharmacy, laboratory, fully equipped radiology unit, 6 operating theatres, labor and delivery suites and a cardiac unit.